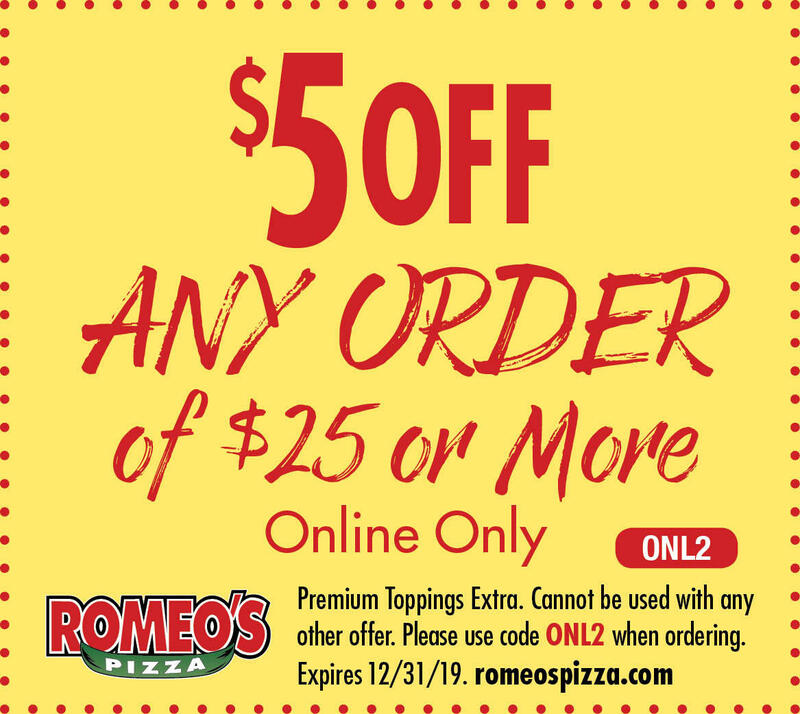 You can have the best pizza in Delaware, Ohio for dinner tonight! 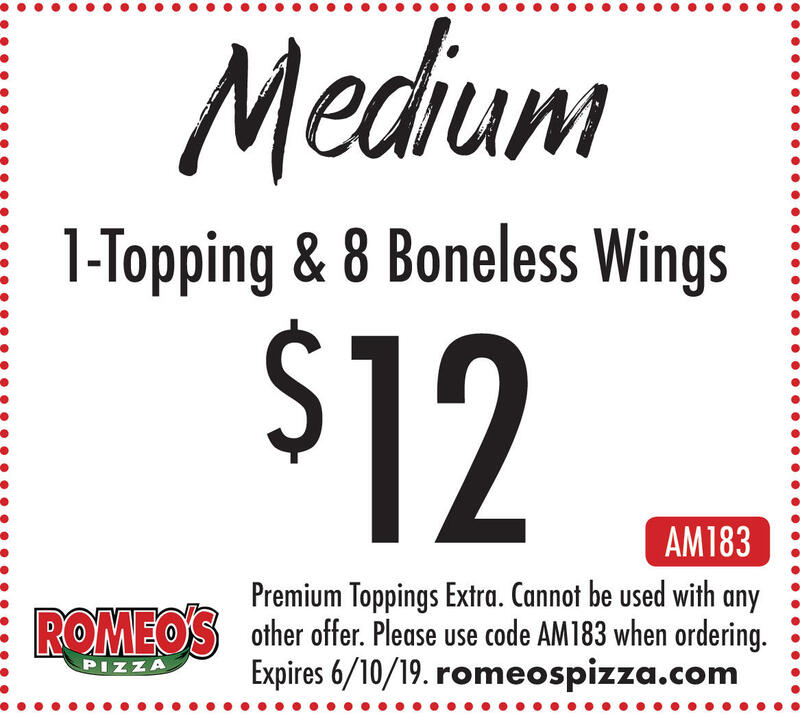 Romeo’s is cooking up gourmet specialty pizzas using fresh dough, high-quality ingredients, and our famous sweet pizza sauce every day! 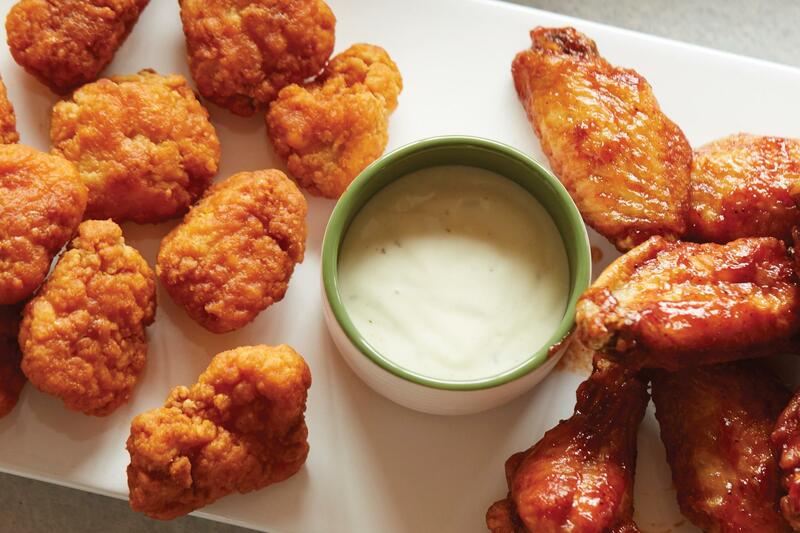 Experience out menu favorites which include something for everyone’s tastes! 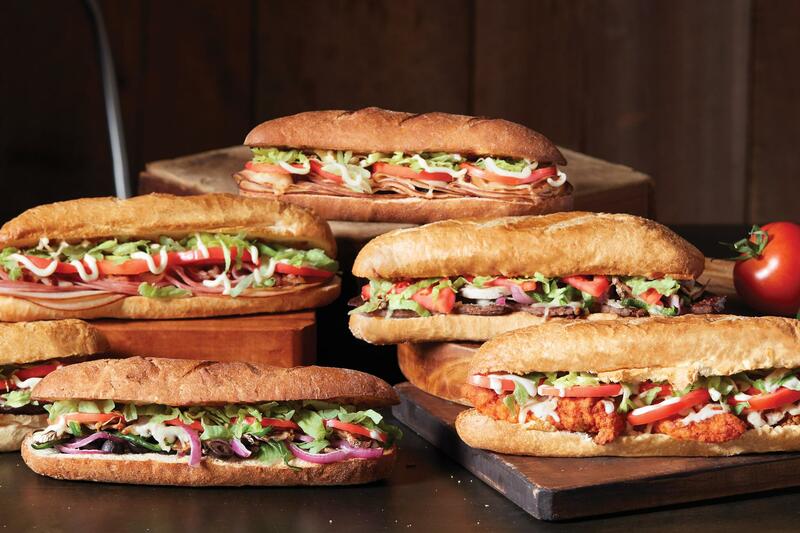 Veggie eaters will love our Veggie Deluxe or New York White, while meat lovers should try the Butcher Shop or Dante’s Peak! Use the Build-Your-Own-Pizza option to create your masterpiece Choosing the crust, sauce and piling it high with your favorite toppings! 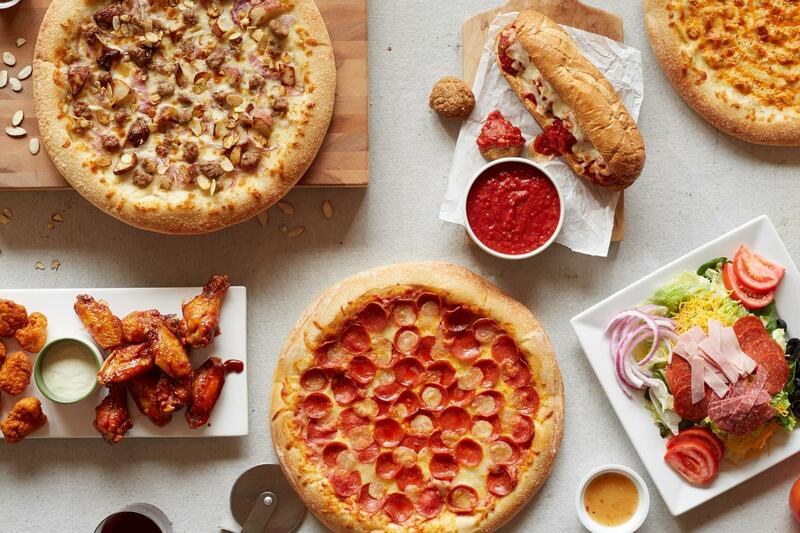 There is something for everyone so pair your pizza with one of our fantastic sides or choose from salads, subs, wings and more to ensure even the pickiest eaters will have something that they love. With our gluten-free crust option, you can make sure everyone at your table can enjoy out gourmet specialty pizzas! 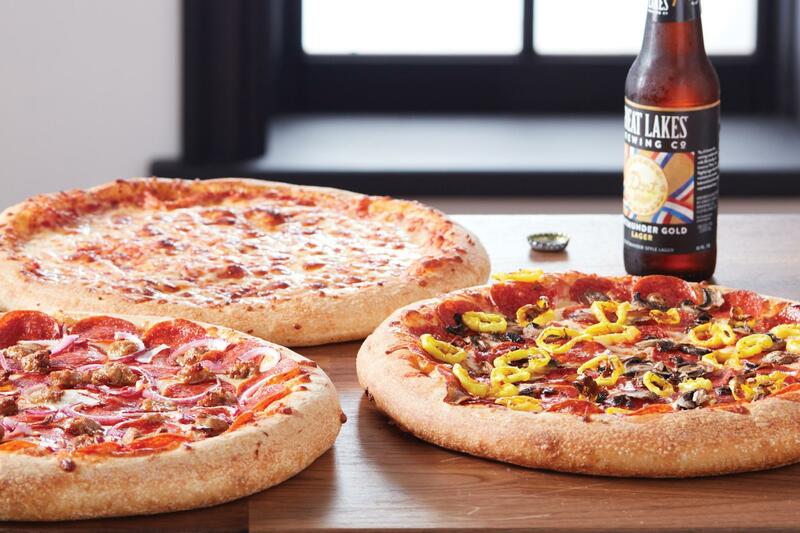 Award-winning pizza in Delaware Ohio is a call, click or tap away! We think our pizza is pretty great and apparently, others do too because we have won Best Pizza in the Midwest three times and have even been awarded Best Gourmet Pizza in North America! 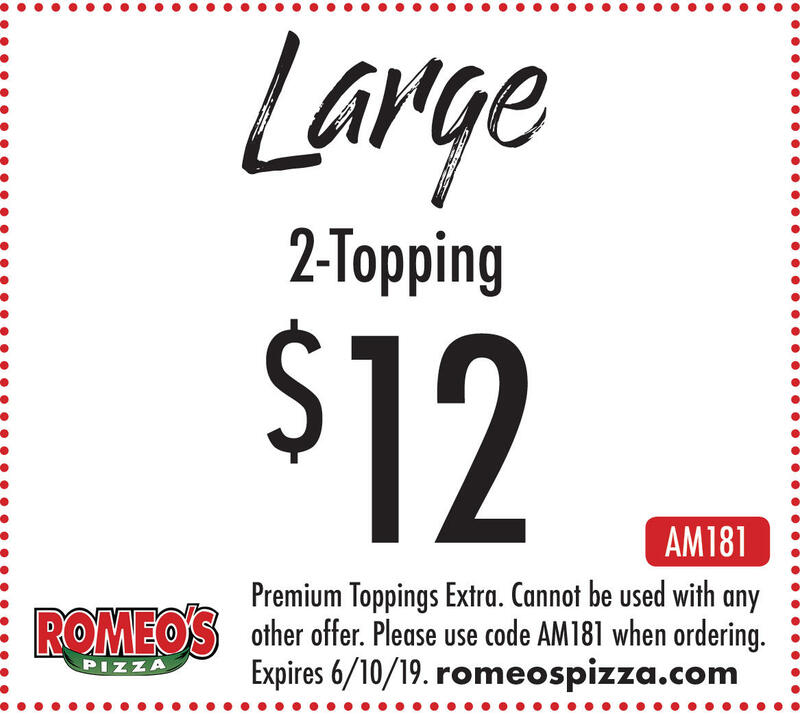 As great as that sounds, we want you to decide for yourself so order today and experience the Romeo’s difference! What’s better than eating awarding winning pizza? Getting rewarded for it! 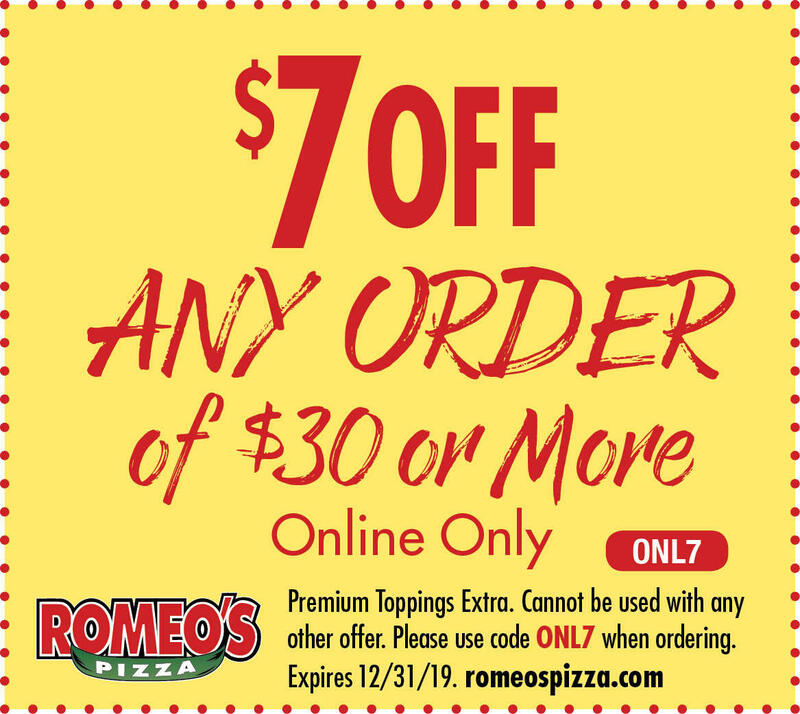 When you sign up for Romeo’s Rewards, you can get $10 off an order after earning 100 points! 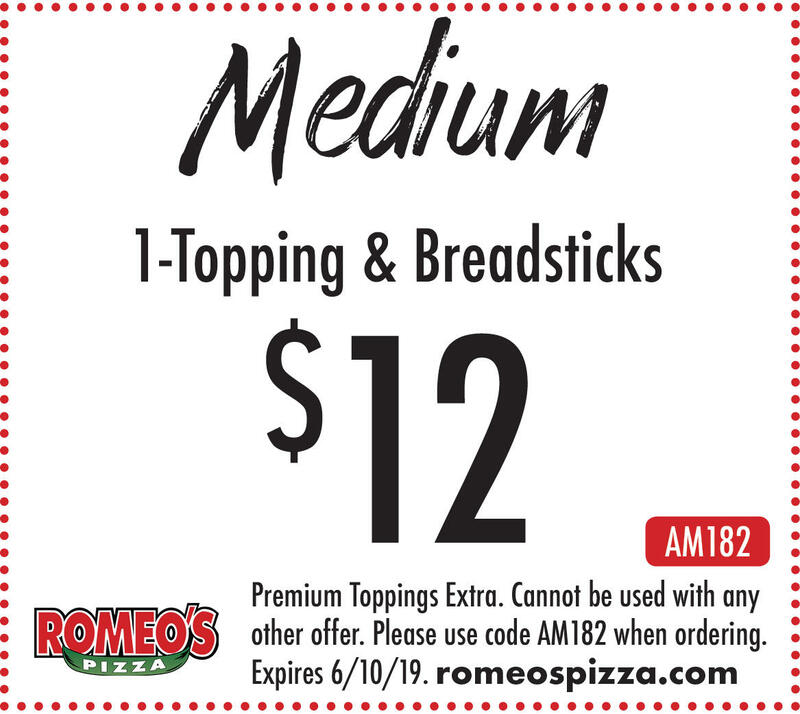 It seems too good to be true, but we like to think our pizza tastes too good to be true as well! 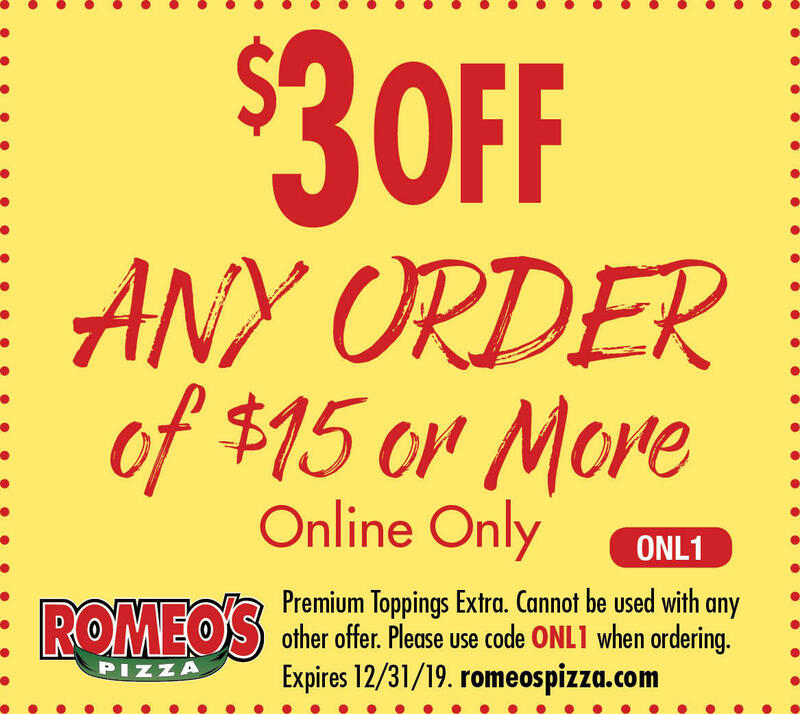 Check out our current pizza specials and coupons, download the Romeo’s Pizza app and enjoy your new favorite gourmet pizza today!